FC Barcelona go a staggering 14 points clear of the defending champions in la Liga, the widest post-Clásico margin for three decades, and we're not even half way through the season yet! Amazing! That’s now three league seasons in a row that FC Barcelona have won away to Real Madrid, their best run of all time in ‘enemy’ territory. There was the unforgettable 4-0 win two years ago, followed by the utter drama of the 3-2 win last season and now this fantastic festive victory to equal the achievement of Atlético Madrid in the 2013/14 to 2015/16 seasons, the only other side to have won a back-to-back trio of games at the Santiago Bernabéu. 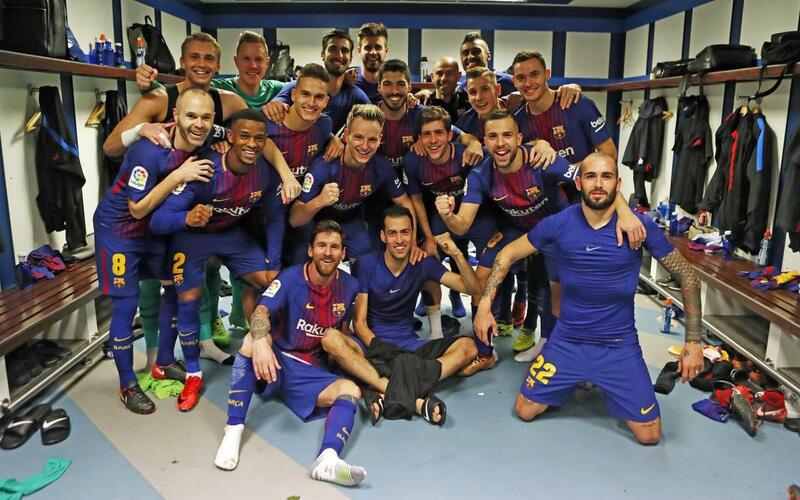 It leaves Barça a humungous 14 points clear of Real Madrid, the biggest margin between the two sides following a Clásico since 3 points for a win were introduced. The widest gap before now was the 13 that Tito Vilanova’s side led by after the visit to the Bernabéu in 2012/13. We should note, however, that Real Madrid have a game in hand on Barça, but that doesn’t take anything away from the fact that the margin between them huge - and we aren’t even half way through the season yet! It really is quite staggering how well the Catalans have performed on trips to Madrid in the last decade, with seven wins, two draws and just one defeat in league meetings. The home side, meanwhile, were chasing a third consecutive win against Barça in all competitions after winning both legs of the Spanish Super Cup earlier this season. But that bid came to nothing, and it’s the blaugrana fans who have received an early Christmas present!